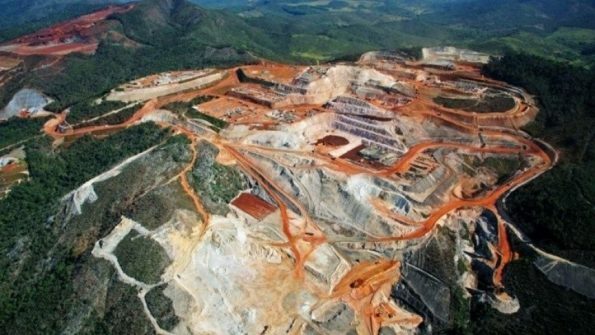 Anglo American has recently announced that it will close its Minas Rio iron ore mine in Minas Gerais State, Brazil, if the licence for the third stage of mining development is not issued soon. The Minas Rio mine has been a source of grave concern for some residents in the neighbouring community of Conceição do Mato Dentro. (For background, please see LMN’s briefing). In a recent interview with a national newspaper, Anglo American’s president in Brazil, Ruben Fernandes, claimed that if the licence is not issued by the end of December, the company will have insufficient ore to continue operations after September next year. The interview states that the meetings with the communities carried out at the request of the Public Ministry delayed the issuing of the licence, which was scheduled for July. Our friends in REAJA (Rede de Articulacao e Justica dos Atingidos do Projeto Minas-Rio, the Network of Articulation and Justice of People Affected by the Minas Rio Project) report that the publication of this interview has deepened divisions in the community, exacerbating conflict between those in favour of the mining project and those opposed to it. Local people working for the mine fear losing their jobs, and blame mining opponents for delaying the licencing process. Threats have been made against mining opponents. Our friends in REAJA are angry with the company for, in effect, issuing an ultimatum. REAJA says that, in the interview, Ruben Fernandes did not mention that a change in the planned layout of the project, submitted on 30 May this year, was a factor in delaying licencing of the third phase of the project. REAJA also says that the Environmental Agency was not satisfied with the information contained in the Environmental Impact Assessment (EIA) and requested further information, which was only provided by the company at the end of June. REAJA says that the mining plan and previous environmental licences (stages 1 and 2, already licenced) provided for a mining plan of five years for each stage, making an application for the third stage premature. REAJA reports the death of fish in waters around rural communities bordering Córrego Passa Sete on 20 November. The organisation says that it will continue working to hold the mining company to account.